← 14th August – Why Must I Celebrate? At this time of night when i am trying to sleep (yes reading stuff so that i can sleep) this post will make me stay up for an hour more and listen all the mentionef tracks and relive some memories. And this dil dhobdhta hay is the voice of my heart eversince i left punjab university… some classics are truely relateable. 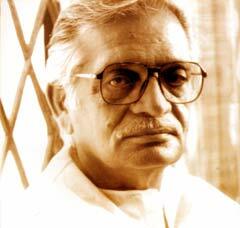 Gulzar is one of the greatest among creative people in India. This article is beautifully written….